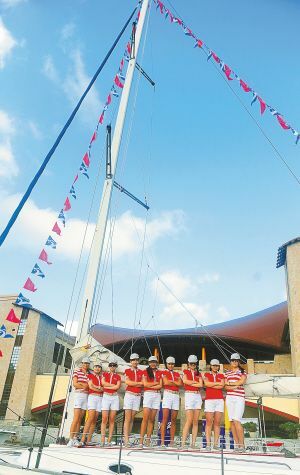 The first women’s sailing team created by a yacht club in China was recently set up at Sanya Yalong Bay Yacht Club and is also Hainan’s first ever sailing team in history. The sailing team consists of 9 female sailors from yacht clubs and senior media, as well as successful career women. The team will received an extensive range of training and professional instruction of international and domestic coaches over the next three months to represent Yalong Bay Yacht Club to compete in a series of sailing races including the Si’nan Cup Regatta to be held in April and China Cup Regatta in October.